In southeast Asia alone, cities generate 65 per cent of the region’s GDP. Yet the ongoing scale of urbanisation is a considerable challenge, one which puts huge pressure on essential public services, housing availability and the environment. An effective response calls for integrated planning across all levels of government. Greater consideration needs to be given to demographic and land use trends to anticipate their impacts and minimise environmental damage. These trends should inform our investments in infrastructure but also in water, energy and transport services. By 2030, vulnerable populations living in extreme risk areas are expected to have grown by fifty per cent since 2015 in many of region’s major cities. Closing the infrastructure gap in the region will alone require an additional $200 billion of investment a year until 2030. We know local government revenues are mostly insufficient and fiscal decentralisation inadequate to respond to this need. In the most disaster-prone region in the world, it is incumbent on us to reduce the risk of natural disasters to which millions of urban dwellers are exposed. By 2030, vulnerable populations living in extreme risk areas—along river banks, canals and slopes—are expected to have grown by fifty per cent since 2015 in many of region’s major cities. As we look to overcome all these challenges, the Asean Smart Cities Network designed to mobilise smart solutions throughout southeast Asia, is a welcome development on which we must build. Combined with the Asean’s broader Sustainable urbanisation Strategy, it is helping provide much needed resource in the region to manage urbanisation better. Twenty-six cities, including Kuala Lumpur and Johor Bahru are developing visions for their cities to apply technologies for smart and sustainable urban development. In October 2019, the 7th Asia Pacific Urban Forum will be held in Penang. My hope is that this can focus minds and galvanise support for best practice to be shared and sustainable urban development to be prioritised in Asia and the Pacific. 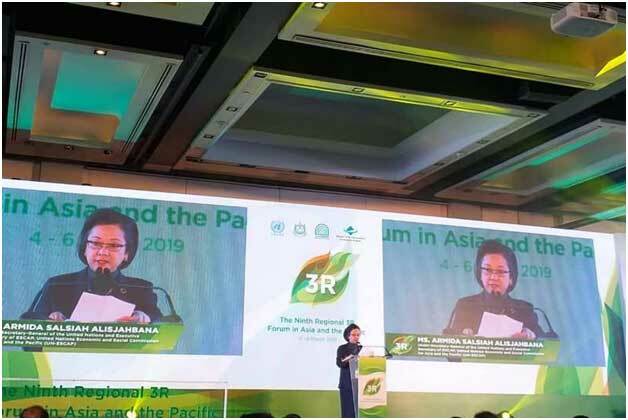 Armida Salsiah Alisjahbana is UN Under-Secretary-General and Executive Secretary of the United Nations Economic and Social Commission for Asia and the Pacific (ESCAP). This article was republished with permission from Inter Press Service (IPS).